Marshall, the county seat of Madison County since 1851, is nestled alongside the ancient French Broad River just 25 minutes northwest of Asheville, North Carolina. In the center of downtown, the beautiful Madison County Courthouse built in the 19th Century reminds us of the town’s roots. Originally called Lapland, the town was renamed in honor of Chief Justice John Marshall. 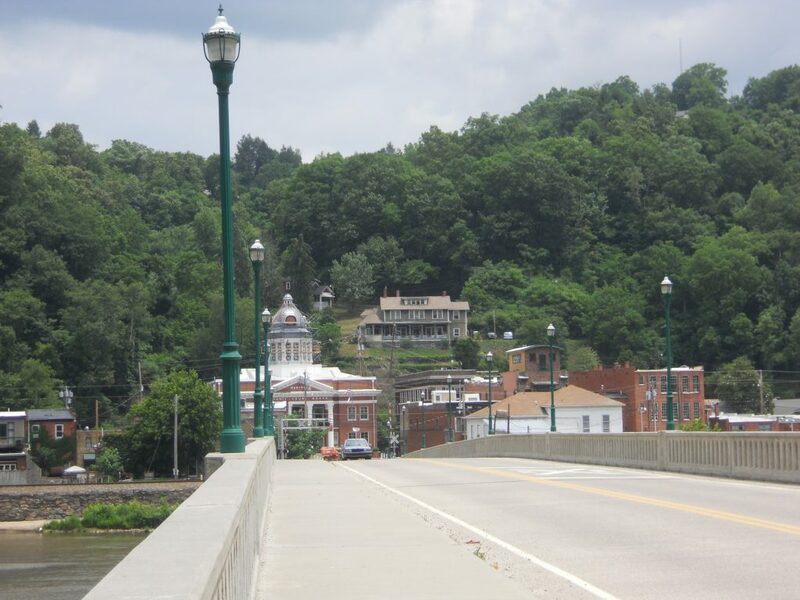 In the 1800’s Marshall was a thriving Appalachian Mountain Community. The building of the Buncombe Turnpike along the river created the pathway for cattle drovers and commodity transport between the markets of South Carolina and Eastern Tennessee. The railroad came through in 1881 and further opened up the area to logging and tourism. Many tourists, just like they do now, came to or through Marshall to enjoy the natural beauty and “get away” from bustling towns in East like Charleston. Recently, Marshall has been experiencing a Renaissance as people have moved here for the natural appeal of the area and the availability of affordable land, homes, and commercial space. It has become a haven for Artists and Crafters as well, much in thanks to the city opening up the former Marshall High School as affordable studio space. The MAD (Marshall Arts District) French Broad Fridays are held the 2nd Friday of every month, June through September, from 5-9pm. Traditional Mountain Music and Ballad Singing rings thorughout the town on weekends (and often in-between) from many local venues. Novice and Veterans alike entertain locals and tourists with homegrown melodies. Marshall is the birthplace of Bascom Lamar Lunsford, father of the oldest fold and dance festival, now held at Mars Hill University the first weekend of every October. Many of the performers at this event hail from the Marshall area. Along with music comes dance, and mountain folks just can’t stand still when its clogging time. Celebrating the local producers in Marshall, two tailgate markets are available: Main Street Tailgate, Wednesdays 3-7pm April – October, and Marshall Tailgate Market Sundays 12-4 pm May – October on the Marshall Island. If you are interested in real estate for sale in Marshall, please contact French Broad Real Estate Company to see how we can serve you.